We are now rolling into the month of August. EDC Las Vegas has come and gone, Tomorrowland blew right past us, and Hard Summer just started off the month with its larger than ever sold out crowd. The biggest and the best event of this upcoming fall festival season is almost upon us. 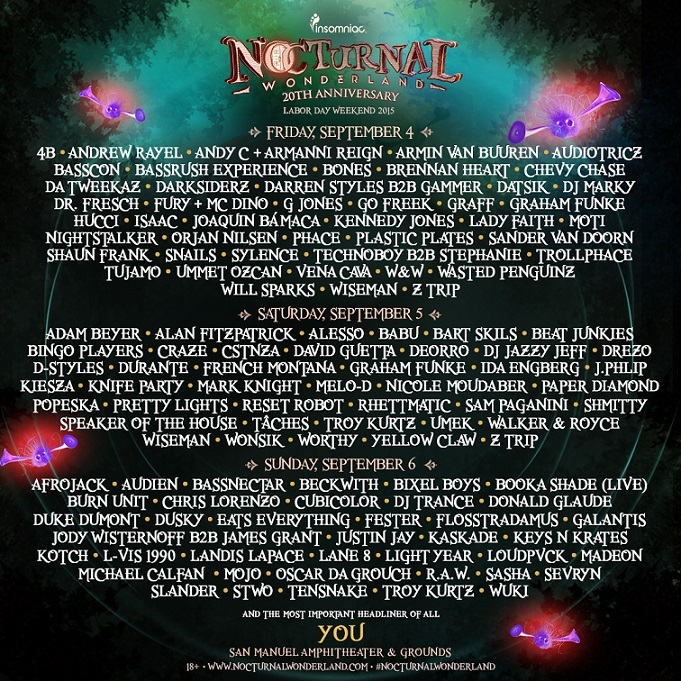 Nocturnal Wonderland, a multi-genre, jammed packed event will be once again gracing the San Manuel Amphitheater. 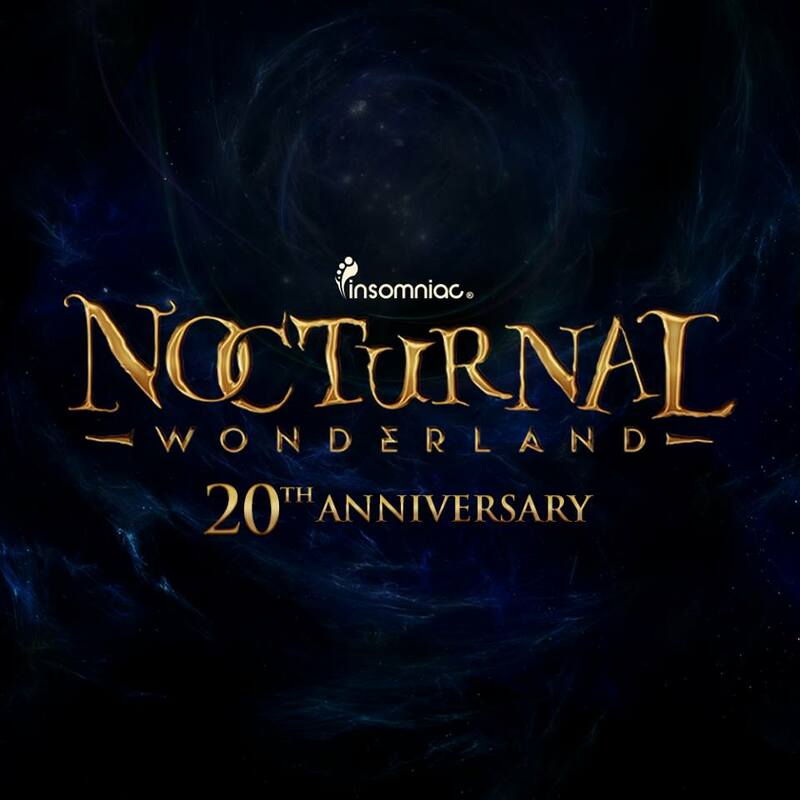 This year’s event is special, as Pasquale Rotella and Insomniac Events will be celebrating the 20th edition of Nocturnal Wonderland with a three-day, four-night camping optional extravaganza. 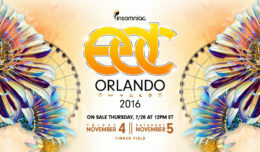 This is currently the closest representation of an EDC in Southern California. Bringing us together with old and new traditions, Nocturnal has a spectacular lineup. I personally think that Saturday is going to be the best by far. Just take a look at the flyer, I don’t want to ruin the surprises for you. Be prepared to have schedule conflicts and compromise. Here are my top 15 artists broken down into five per day. Make sure to check these guys (and girls) out!